This week has been CRAZY! I've hardly had time to get anything done, much less blog. So I'll just update you on the weeks events in order of my camera roll. 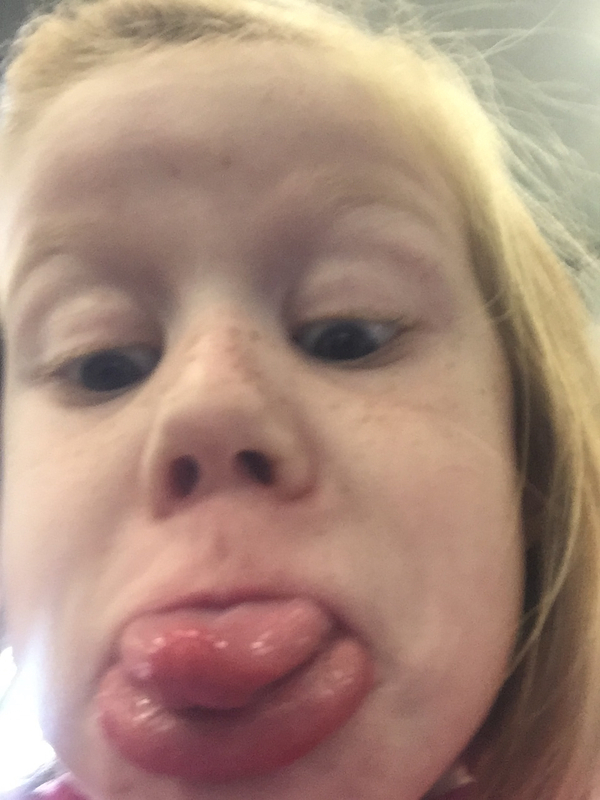 Kennedy had my phone at the gym the other day. 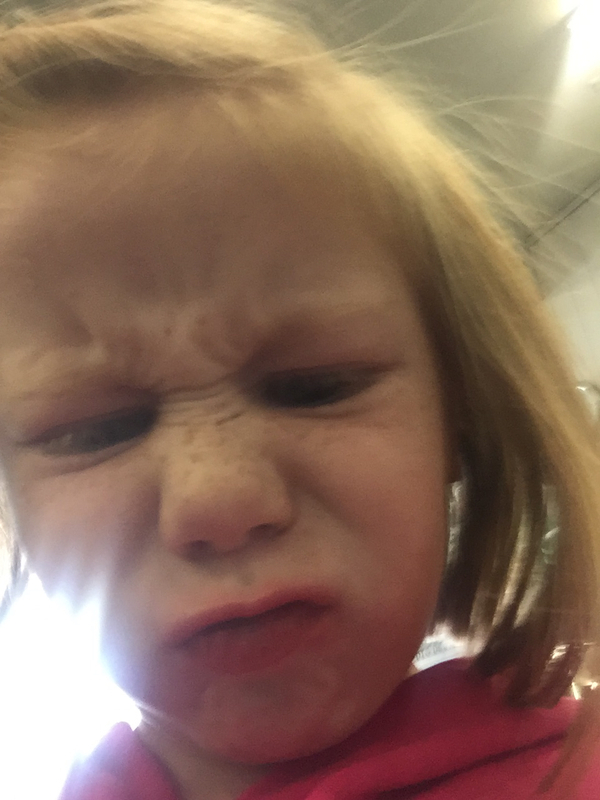 She decided to take some selfies. These two were my favorites. She cracks me up! 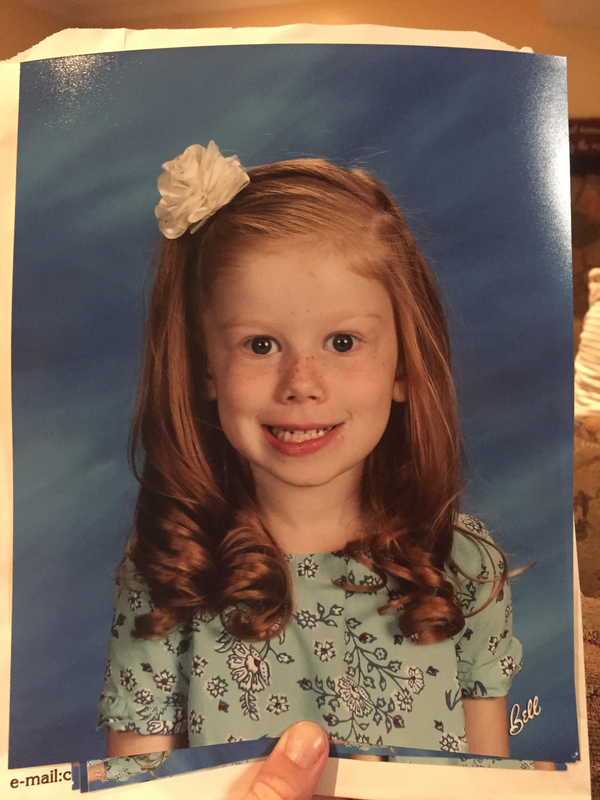 We got her school pictures back this week as well. Cory and I about died. They are so dang cute!! Gosh, we love this little thing and the sunshine she brings into our life. My dad came home from the hospital on Tuesday evening. He's been assigned to home health care. My mom and I have been administering his IV antibiotics through a PIC line every 8 hours. One takes 5 minutes to give and the other takes 45-an hour, depending on how cold the medicine is (it has to be refrigerated). It's good to have him home, but he does still need a lot of care. I took him to the doctor on Thursday. 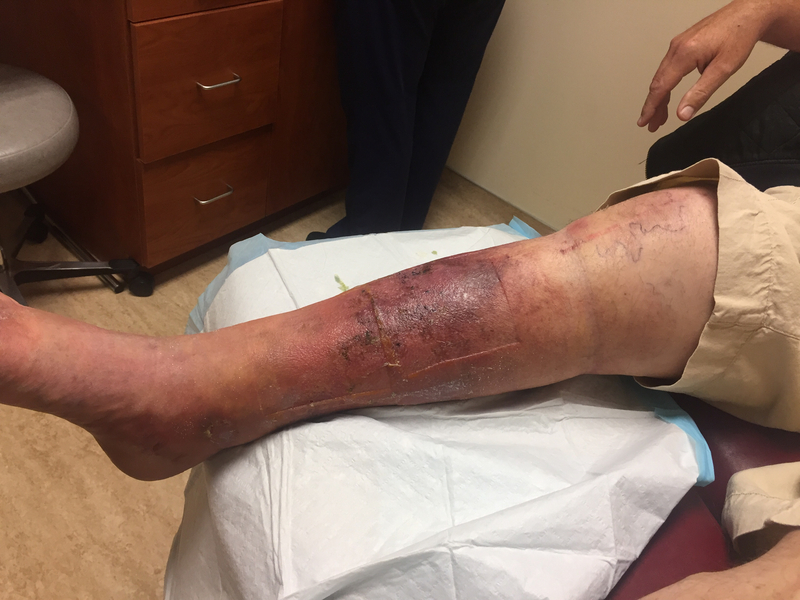 His leg is looking much better! No word on how much longer this will take. I'm guessing they don't know, either. In an effort to be a better mom, I took the girls to the church parking lot to ride their bikes. Kennedy rode around; Brynlie ran in circles and climbed on the railings to the stairs. We have been the worst at letting her practice riding her bike. She's really got the hang of it now though, and is super proud of herself. 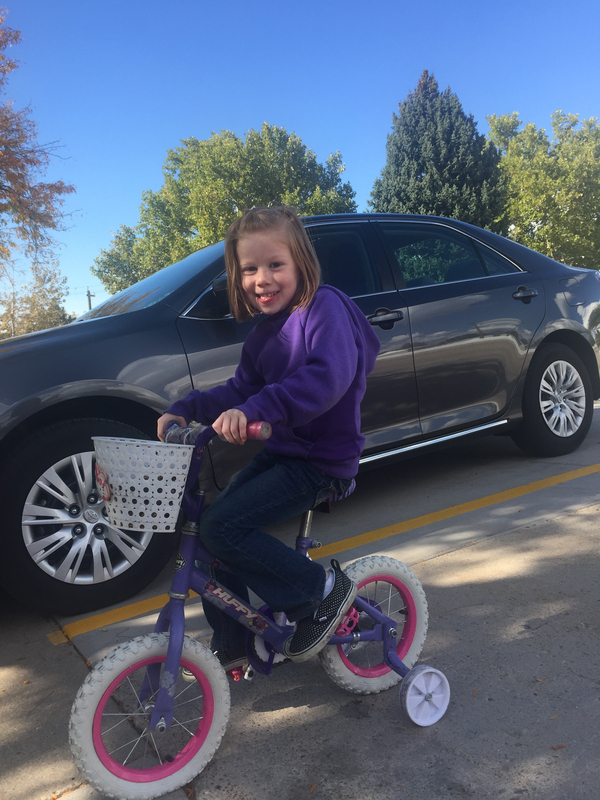 I think it's time to take the training wheels off and officially make her a "big girl". Maybe Santa can bring her a bigger bike? I'll have to see what his budget is. I know I said I was done with racing for a while but.... just kidding!! This race was always on the plan for the year. I originally wanted to do a half every month until October. 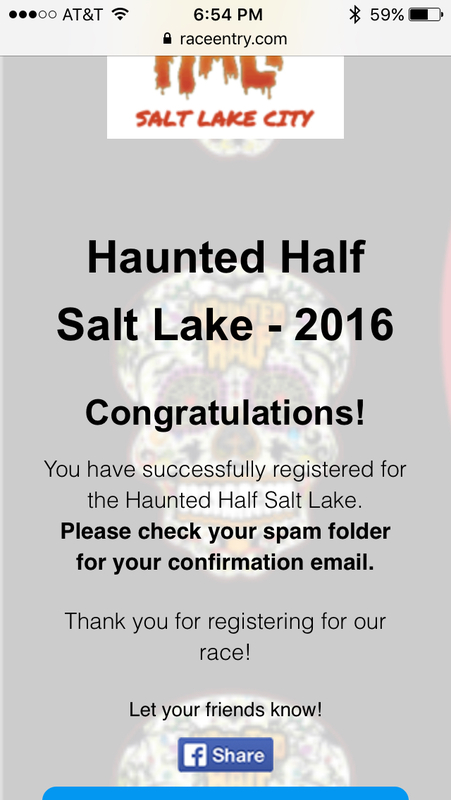 I didn't register for this one super early like the others, so when crap hit the fan I decided to not do it. But my friend Michelle who's back from having a baby is running it and I decided that joining her would be super fun. Plus, I need to replace my memories of that horrible Halloween race I did when I was pregnant with B with a positive one. The fall weather has really helped boost my spirits. And now that I've accepted my life and my body, I'm ready to get back to where I was a few months ago. I'm ready to put in the work. In fact, this morning I went for a 10 mile run. I chose a route that isn't easy (4 straight miles of uphill!). This route used to be no big deal back in April. I ran this whole thing today, but my time wasn't anywhere near where it was back then. I'll get there though. Someday. 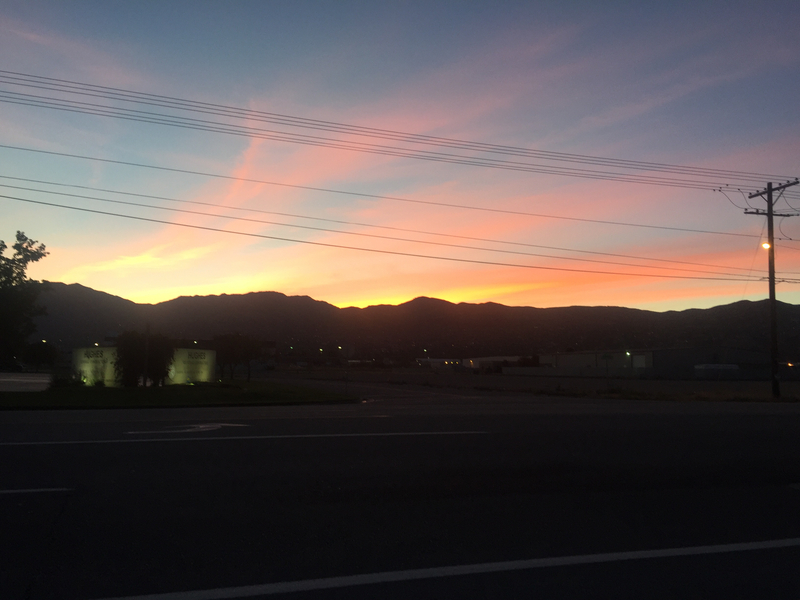 The sunrise was gorgeous though and I loved the temperatures in the 40's. I love running in the cold. I'm weird. I also decided to listen to conference talks for a good portion of the run which I've never done before. We missed all of the Saturday session last week so I stared there. I really liked how Robert D. Hales said something to the affect of our kids measure our love for them based on the amount of attention and affection we show them, or something like that. I'm paraphrasing. Poorly. Anyway, it's something I need to work on and it was a good reminder to keep working on making them the priority. So this weekend we are in Burley, Idaho for a baby blessing for one of Cory's cousins babies. In fact I'm blogging from my hotel room. The girls are conked out and I'm about to be after I finish this post. We've had so much fun so far! I was going to share what we did tonight but I think I'll save that for tomorrow since I'm pretty wiped out. I'm also having pretty bad acid reflux from the Chinese food we had for dinner... but we are having a great time and it's been so nice to get away from our crazy lives for 24 hours.